It was standing room only for the SES San Jose session regarding Duplicate Content & Multiple Site Issues. 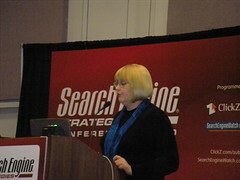 Shari Thurow of Omni Marketing started the session off by addressing why duplicate content is a concern. When there are duplicate content issues it lowers the number of pages available to rank. Less pages to rank can equal less rankings which can lead to lower search traffic. In addition, Shari mentioned something called ‘Crawler Cap’ which is the maximum number of pages a search engine will crawl of a particular website. Here are some details on how the search engines crawl and index content and how you can help them crawl the right information, no longer leaving the pages that rank to chance. Shari educated the half techie/half marketer audience on shingle comparison. Content is broken down into sets of word patterns and groups of adjacent words, called shingles and are compared for similarity. More shingles = more similarity and perhaps duplicate content issues. Next up is Marty Weintraub from aimClear. Sasi Parthasarathy of Bing is next and he asks pretty please that webmasters make changes like those being discussed today so that Bing can do their job better for you and your potential customers. Also, if someone can come up with a better and easier name for canonicalization that would be great! To help with geo-targeting use the country code top-level domain. For example, .ca. To help with content syndication, make sure you are using it with caution. From Bing’s perspective, they want to show the version that is best suited and appropriate for the user. That may not be the version you prefer. Greg Grothaus, a Google engineer is next in line and he promises to tackle the Duplicate Content Penalty Myth. When a searcher queries, Google wants to ensure diversity in the results. Therefore, Google will try to pick 1 page of those that have similar content. For example, if you search for ‘fluffy bunnies’, and there are two pages from a site (web page and printer version), Google will likely result the web page. However, the site is not penalized for having the printer friendly version also talking about fluffy bunnies. Google removes sites for spam, but not duplicate content as a stand alone item. Ivan Davtchev of Yahoo! polls the audience asking ‘how much of the web is duplicate content’? Answer – more than 1/3rd. How do you figure out if duplicate content issues are a problem on your site? Greg – start with advanced search queries and see if there are many URLs resulting that you didn’t expect. Also, check Google Webmaster Tools. Let’s say you launch a new product and hundreds of partner sites leverage that new content across their sites as well? Greg – if left to Google, we will pick the page that we think is best. But this may not be your preferred page. Something you can do is make sure all the syndicates are linking back to you as the original author. Sasi – have the syndicate sites add to the original content to make it unique. 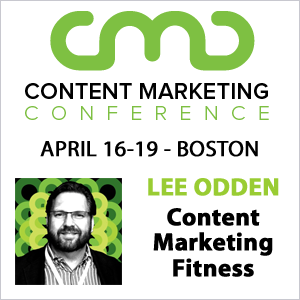 Q: What do you do with content across multiple sites, manufacturers, distributors? Shari – It’s all about context. What is the context of the search. Are they looking for a place to purchase the headphones or distribute them. Duplicate content may be inevitable, but don’t abuse it. Whenever I surf the net to look for potential networks and social media communities to immerse myself into, I really find it annoying to put up with useless spammy websites, links and messages. They are really predictable; one look at the poorly-constructed introductions or the “get-rich-quick” themes and I know they’re not worth my time. Ever. It’s such a relief that there are people who are trying to get to the bottom of this (and hopefully find a way to stop it). Kudos for posting a very relevant topic whom many will relate to. Great info — especially to find out that printer-friendly pages aren’t considered “real” duplicate content. The biggest problem we have with duplicate content is when we get a new client who already has a site built. A few too many rely on template services related to their specific industry, apparently not understanding that the content they buy is also found on hundreds of other sites (sometimes owned by competitors) – same headline, text and images. The looks on their faces when they realize *their* great site is simply one of dozens of cookie-cutter great sites is really sad. The looks when they discover how much time and effort (and often money) it will take to “unduplicate” the content is even sadder. Great post – I was there and you definitely got the meat of the session. I still have one nagging question: What is this ‘crawler cap’ and where did it come from? Admittedly, I’ve only been in the SEO industry for about 18 months, but I’ve never heard of it, and I didn’t get a chance to ask Shari, myself. Can anyone tell me, or point me in the right direction as to where it comes from? Which SE(s) employ it? What are the specifics (what’s the formula)… what increases the cap, lowers it, and by how much, etc.? Really great post with a lot of useful information. It was useful to found out that printer friendly pages are not considered as real duplicate content.